Process piping services for manufacturing plants in Edmonton and Alberta. 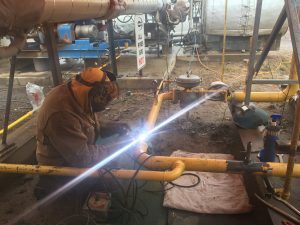 JW Brian Mechanical has a tremendous amount of experience with process piping in the manufacturing industry, including automotive, textile, steel production, power plants and water treatment plants. Most importantly, through our lengthy industry experience, comprehensive liability insurance, and not interfering with your production, we are able to uphold key values of quality work, safety, and customer service. Please contact us if you’re interested in learning more about our process piping services pertaining to manufacturing plants.